William Patrick Manning was born on 18 November 1845 at Chippendale, New South Wales, the eldest son of Irish parents John Manning and his wife Mary, née Hourigan. He was educated at St Mary’s Cathedral School. On 8 August 1868 at St Mary’s Cathedral he married Honora (Nora) Torpy (d.1940). He died on 20 April 1915 at Woollahra, survived by five sons and three daughters, and was buried at South Head Cemetery. Manning received his business training in the head office of PN Russell & Co, engineers. In 1868, aged 22, he was invited to become manager of Australian Paper Company. During the 1893 financial crisis he managed the reconstruction of the Australian Joint Stock Bank (later Australian Bank of Commerce) and became the Chairman of Directors. He was Director of MLC Assurance Company Limited and Sun Fire Insurance Office of London. From 1896 to 1908, he was Director of the Citizens? Life Assurance Company. He acted as Australian Investment Agent for the English capitalists Lord Rosebery, Duke of Manchester, Lord Carnarvon and Lord Sherbrooke. William Manning was a NSW Royal Commissioner on four occasions. He was the President of the Sydney Philharmonic Society from 1891–14. A notable Roman Catholic layman, he was a Fellow of St John’s College at the University of Sydney from 1893–1915, and papal chamberlain from 1903. He contributed to the building of St Mary’s Cathedral. The WP Manning Building, named for Mayor Manning, in Pitt Street (between Hay and Campbell Streets) adjacent to the Capitol Theatre. 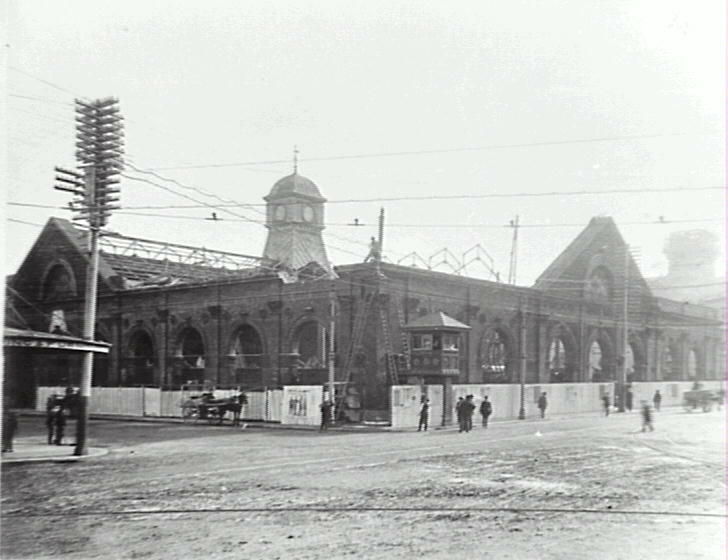 This photograph, dated 25 June 1913, shows alterations and additions to the Manning Markets Building when the New Belmore Market was converted into the Wirth Bros Hippodrome. 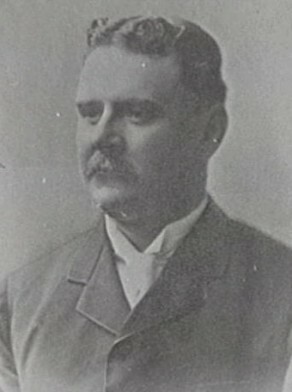 An advocate of legislative reform and Federation, Manning was elected MLA for South Sydney from 1893 to 1894. Sir William Manning was knighted in 1894. William Manning was Alderman for Bourke Ward, 1 December 1887 to 6 December 1900. He was a member of the Finance Committee, 1899-1900, the Electric Lighting Committee, 1895-1900, and the Disposal of Refuse Committee, 1895-98. He oversaw the remodelling of the Belmore Market, and played a major role in the construction of the Queen Victoria Market Building. He chaired the 1891 Royal Commission on alleged Chinese gambling and immorality and police corruption. Manning was the Mayor of Sydney from 1891 to 1894. John M. Ward, ‘Manning, Sir William Patrick (1845–1915)’, Australian Dictionary of Biography, National Centre of Biography, Australian National University, http://adb.anu.edu.au/biography/manning-sir-william-patrick-7477/text13031, accessed 20 December 2012.